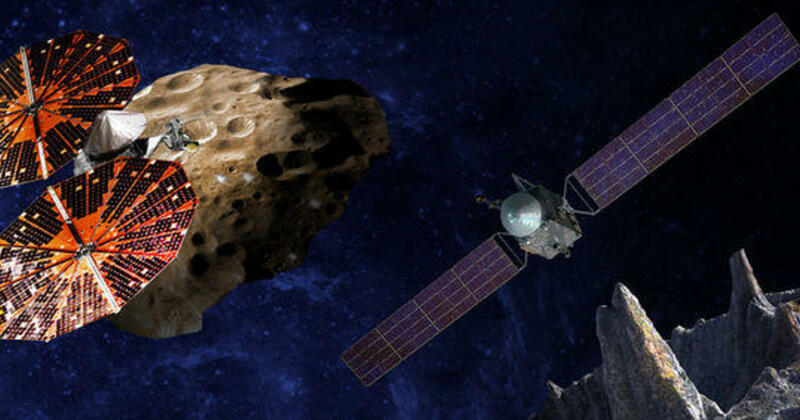 – NASA’s next low-cost planetary missions will attempt to unravel the mysteries of some seriously bizarre asteroids. – This week (January 4, 2017), NASA announced the selection of two new space missions, both to asteroids. 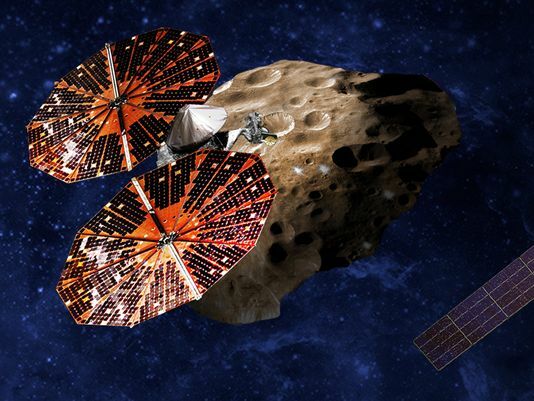 – (Left) An artist’s conception of the Lucy spacecraft flying by the Trojan Eurybates – one of the six diverse and scientifically important Trojans to be studied.